Forgot to bring your external back-up device? how about saving it online? 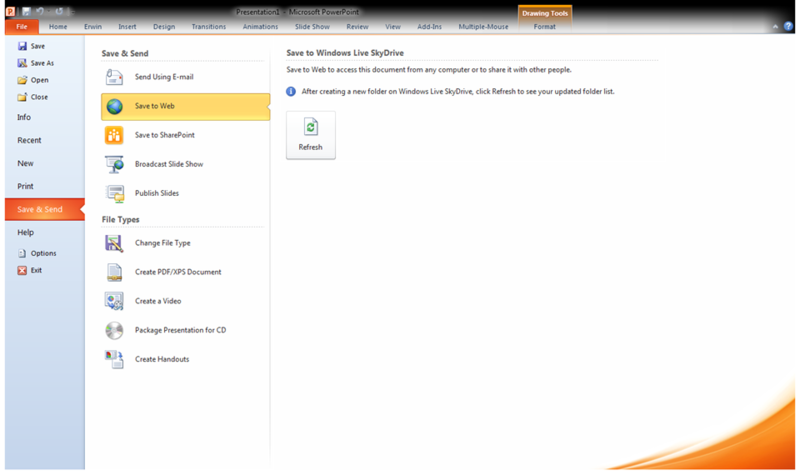 Windows Live SkyDrive is a File Hosting Service that allows you to store 25GB of free Personal Storage, with individual files limited to 50 MB. It has a capability to keep files in private, share with your contacts, or make files in public. 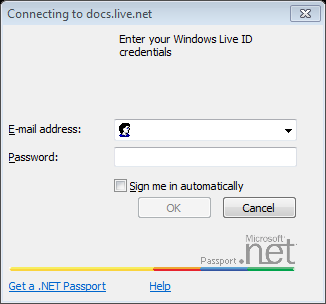 You just need to have a a Windows Live ID to control access to user’s files. 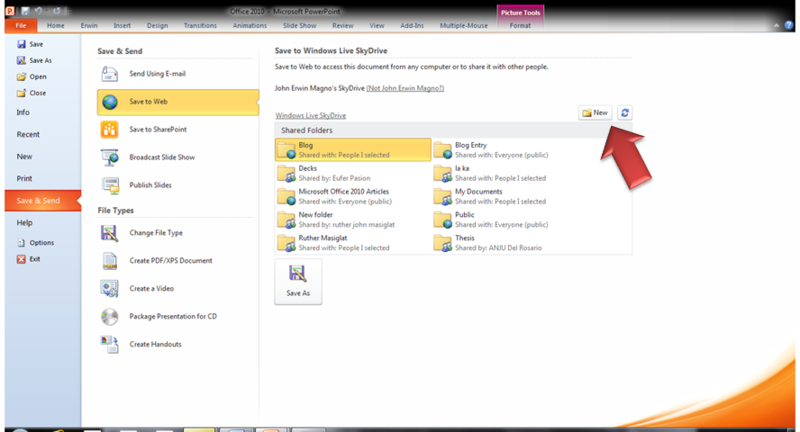 Microsoft Office Makes it great by allowing you to save your file directly to your SkyDrive without opening a web browser. 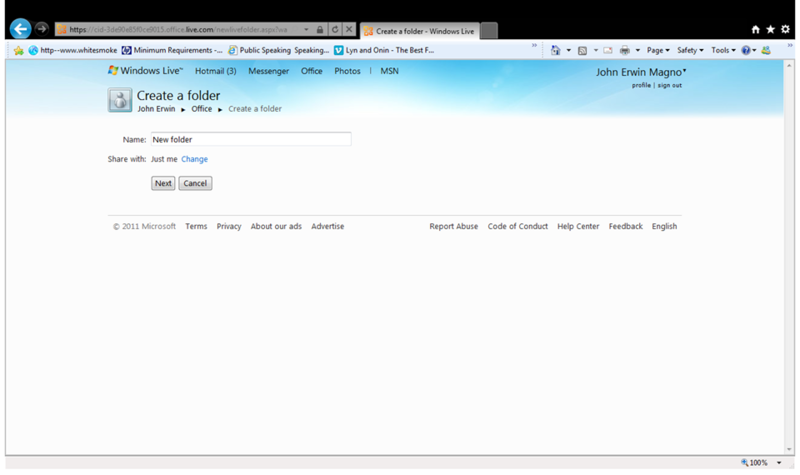 You can create your own folder by clicking “New” shown in the figure below. This will prompt you to a web browser. Make sure to sign-in to your live ID account. Then Click “Next” if your finished. 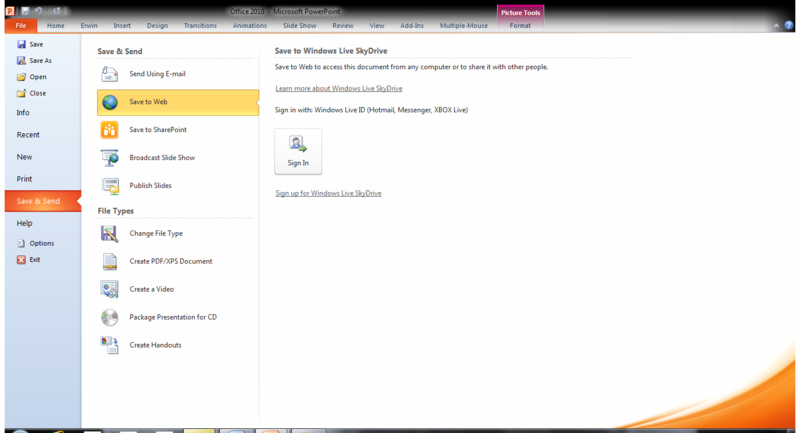 This entry was posted on Thursday, July 15th, 2010 at 7:37 pm	and posted in New Features, PowerPoint. You can follow any responses to this entry through the RSS 2.0 feed.